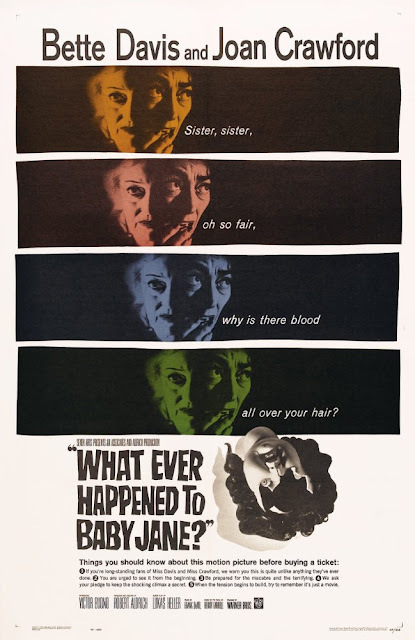 Saturday Matinee: What Ever Happened to Baby Jane? Have you seen the ads for Feud: Bette and Joan? The upcoming FX limited series is based on the onset rivalry between Bette Davis and Joan Crawford during the making of Whatever Happened to Baby Jane? It's a star-studded affair with Susan Sarandon as Bette, Jessica Lange as Joan Crawford, Judy Davis as gossip columnist Hedda Hopper, Stanley Tucci as Warner Bros studio boss Jack Warner, Kathy Bates as Joan Blondell, Catherine Zeta Jones as Olivia de Havilland, Sarah Paulsen as Geraldine Page and Alfred Molina as Robert Aldrich, the director of Whatever Happened to Baby Jane? All that being said ... can you guess the title of today’s Saturday Matinee? What Ever Happened to Baby Jane? 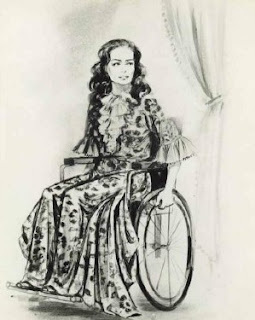 is based on the novel by Henry Farrell about a former child star and her paraplegic sister living unhappily—to say the least—in the mansion they share. 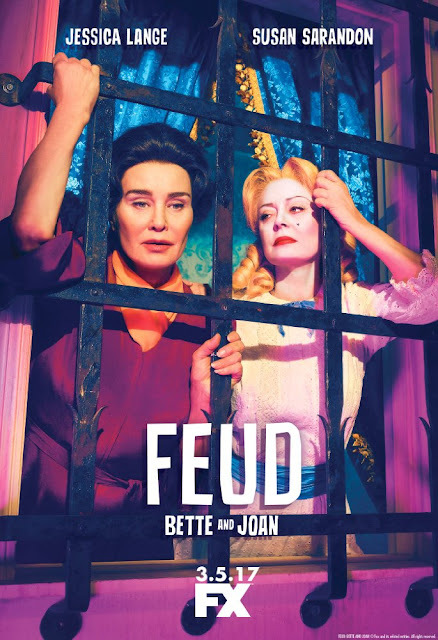 Feud: Bette and Joan debuts here in the US on March 5th. I plan on screening What Ever Happened to Baby Jane? sometime before then. 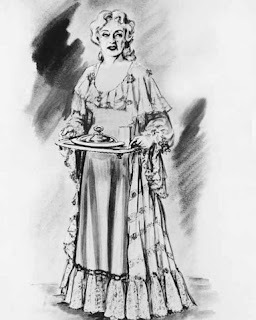 The film was nominated for 5 Oscars, including one for Bette Davis as Best Actress. That must have inflamed the feud between the two actresses! Good thing Davis lost. The film ended up taking home Best Costume Design; I think it’s probably worth watching for that reason alone. You can stream What Ever Happened to Baby Jane? on iTunes, YouTube, Vudu and GooglePlay for about three bucks.